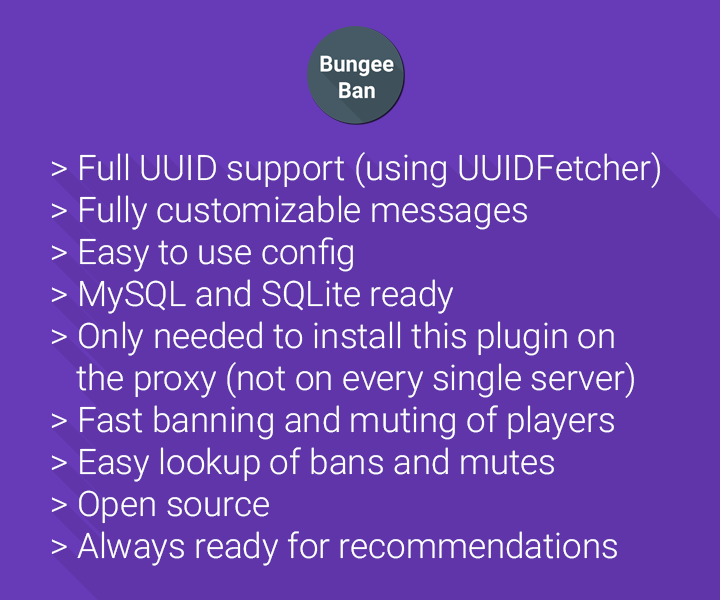 A fully customizable and easy to use BungeeCord plugin managing Bans and Mutes, and much more! Thank you for 10k Downloads! The_Loyal_One, Lazo, Mirlan and 23 others like this. The download link is broken!!! Please fix it! Impossible to download, the link is broken. Repair please ! bad plugin dont allow the join a server with use this plugin . This plugin works wonders on my network! My staff loves how fast and easy it is to use.